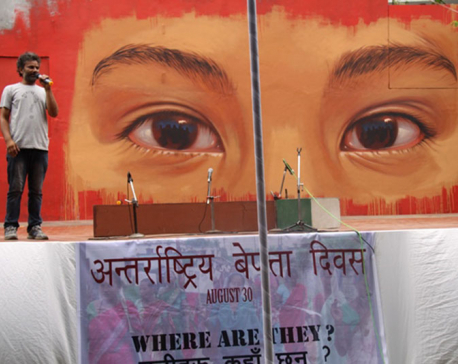 KATHMANDU, Aug 30: Every year August 30 is observed as the ‘International Day of the Disappeared’. To commemorate the day in the capital, theater artists from Kathmandu’s Mandala Theatre, various human rights activists and families of the disappeared participated in an event titled ‘Where are they?’ at the premises of Mandala Theatre in Anamnagar. BARA, Aug 30: Police have arrested a man hailing from Hetauda Submetropolitian-9, Makwanpur and currently living in a rented house at Birgunj with drugs. KATHMANDU, Aug 30: The Kathmandu District Court on Tuesday remanded notorious gangster Deepak Manange to judicial custody in an abduction case. 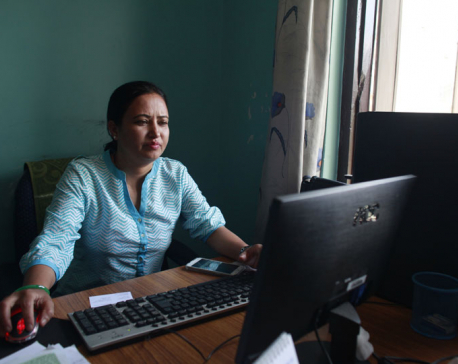 KATHMANDU, Nepal, Aug 30: The image of the teacher's body tied to a tree and riddled with bullets still haunts his son 14 years later. Communist militants allegedly dragged the Nepalese man from the class he was teaching and then killed him for refusing to give part of his salary to fund their bloody rebellion. 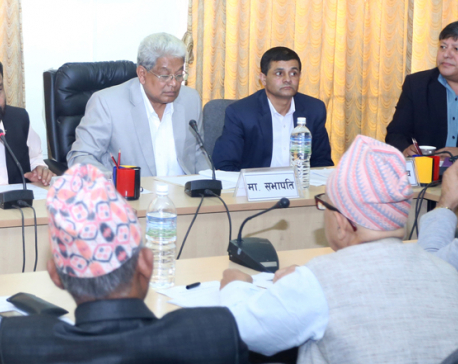 KATHMANDU, Aug 30: A total of 131 people died in the incidents of water-induced disasters across the country in the past one and half month. 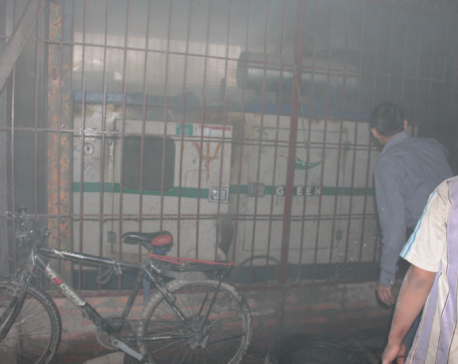 KATHMANDU, Aug 30: Fire has broken out at China Town building near Sundhara on Tuesday afternoon. BIRGUNJ, Aug 30: Police have arrested as many as 48 Indian nationals and three Nepalis for their involvement in illegal 'flesh trade' from Parsa district. PATHARI (Morang), Aug 30: A group of students at the Manmohan Memorial Polytechnic (MMP) at Hattimuda, Sunsari district have invented a unique type of water bicycle that could be peddled through water. CHAUTARA, Aug 30: The 10.5 MW Sunkoshi Power (hydel) Centre in Sindhupalchowk district which was shut down following the damages by flood-fed Bhotekoshi River has recently started generating electricity.